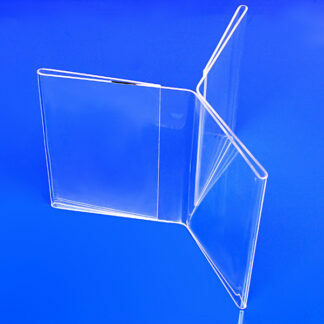 Acrylic magnetic back photo frames at wholesale. The acrylic plastic picture frame with magnetic back lets you easily display your favorite photo memories. Available in six standard sizes from wallet size to 11″ high frames. We use a strong 60 mil thick, made in the USA magnetic strip that will not slide down or fall off when attached.